General Hospital (GH) spoilers tease that Drew (Billy Miller) will mull over his predicament. Faison (Anders Hove) managed to leave behind one last mess for the twins. He’s dangling exactly what they want right in front of them. Jason (Steve Burton) has the chance to learn Heinrik’s last-known alias and whereabouts. Drew could get all the info he needs to retrieve his memories. The only problem is one brother has to die or else they both get nothing. What are Jason and Drew going to do about that? After considering his problem for a while, GH buzz says Drew finds an interesting solution. On March 5, inspiration will strike. 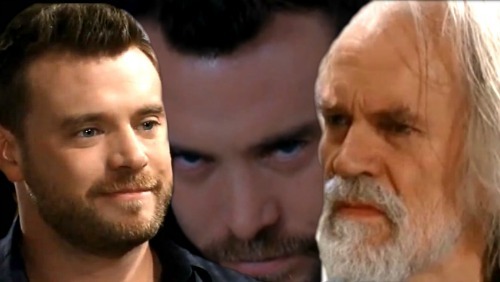 General Hospital spoilers say Drew will come up with a brilliant idea, so that ties in with all the Faison drama. Drew could discover a way to get what he wants without resorting to violence. His plan would undoubtedly benefit Jason as well. It looks like Drew will fill Sam in on what he has in mind. He always tries to bring her in the loop on what he’s up to. Plus, Sam has plenty of power over Jason. He’ll do pretty much anything she asks, so Sam may get the scoop from Drew before explaining the situation to her ex. Drew will hope to pull off the ultimate trick. Could he decide to fake his own death? Drew could “die” long enough for Jason to secure what they’re looking for. Jason could show up to claim his prize and hopefully get what Drew wants, too. Of course, this sounds incredibly risky. There are plenty of ways this plot could go wrong. Jason may point that out to Sam, but she would obviously talk him into helping. GH fans know Jason just can’t say no to her! 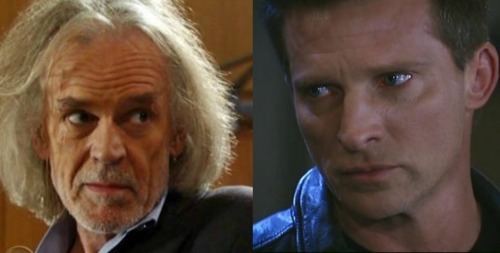 General Hospital spoilers hint that peril is brewing for Jason down the road. He could be walking into a deadly trap. Faison must’ve known that the twins would try to outsmart him. He probably anticipated that they’d cook up something like this together. Will Jason end up in grave danger? Did Faison really leave anything behind for the brothers other than a deadly trap? Will Drew’s scheme take a terrible turn? We’ll give you updates as other GH news comes in. Stay tuned to the ABC soap and don’t forget to check CDL often for the latest General Hospital spoilers, updates and news.